During his short time in office, President Donald Trump has taken several steps that have generated robust economic growth, including signing historic tax cuts that have already led to bigger paychecks for American workers. But to ensure that Americans can keep enjoying the benefits of this popular tax cut, the administration needs to fight rising gas prices. The challenge is a familiar one. For example, in 2011, Americans’ savings from a payroll tax cut were largely negated by rising gas prices. 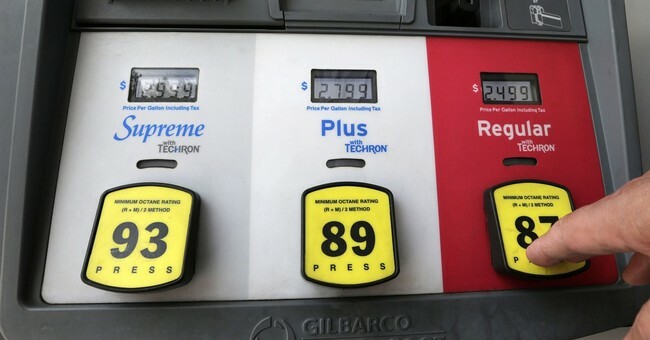 Similarly, an analysis by the non-partisan organization Securing America’s Future Energy found that although former President George W. Bush’s tax cuts increased household income by $1,900 from 2001 to 2008, Americans spent $2,000 more on gasoline in that same timeframe as prices rose. President Trump needs to make sure history doesn’t repeat itself. One way to do that would be to strengthen and modernize the fuel economy of our vehicles. Simply put, fuel economy standards help Americans’ pocketbooks. According to Forbes, a 2017 study by David L. Greene at the University of Tennessee found that fuel economy standards have saved American consumers in all income groups an estimated $4 trillion since 1975. Fuel economy standards that encourage innovative ways to further increase our efficiency will continue to help consumers save money. Securing the gains won by the tax cut isn’t the only reason that President Trump should strengthen and modernize fuel efficiency; it’s also in keeping with his stated desire to realize not just “energy independence,” but “energy dominance.” The administration has said that part of their plan to achieve this goal will be permitting more offshore drilling, which will give Americans access to our own energy resources. This is a laudable goal, but getting more out of the oil we already put in our cars is also a common-sense step towards energy dominance. Over 92 percent of America’s transportation sector relies on oil, making our economy vulnerable to fluctuations in the oil market. Increasing theefficiency of our cars and trucks would be a good step towards shielding our economy from the potential ramifications of a volatile global oil market. There’s no free market for oil – that’s why we need policy to protect our interests. At the Organization of the Petroleum Exporting Companies (OPEC), state-subsidized oil companies collude with one another to manipulate the global oil supply to their own benefit. Leaving our transportation costs subject to the whims of foreign powers at OPEC creates uncertainty for consumers, weakening the economy. Strengthening these standards will help shield us from the interference of petrostates and lessen our dependence on foreign oil. The fuel economy of our cars and trucks also has national security implications. These rules were initially adopted to prevent foreign countries from seeking to harm American interests by manipulating the price of oil. Boosting fuel efficiency would further reduce this risk. The administration should collaborate with car companies and innovators to strengthen fuel economy standards so Americans may enjoy the full benefits of their tax cuts instead of having to spend that money on gas. The White House should not risk economic growth from tax reform being stifled by oil price volatility. Strengthening fuel economy standards would benefit both consumers and America’s national security, and would help achieve the administration’s “America first” agenda on both energy and security. I’ve read something about gas taxes going up this year and that concerns me a bit. I’m an oil and gas producer here in west Texas and like every other producer we have no control over pricing other than production. If we don’t produce enough the price goes up, too much and the price goes down. If we want the price of our fuels to go down we simply produce more here in the US. Cutting down our usage means cutting production and that allows other non US producers to gain the upper hand. I’m hearing it also and the number 25 keeps coming up but I’ve yet to confirm if they want to raise to .25 or raise it .25. Big difference. The federal tax doesn’t hit us too hard but the state taxes on fuel are out of control. In Texas the state gets a 6.5% severance tax on every barrel of crude produced, same with natural gas. Then they hit us again with a fuel tax per gallon and MCF at the end. In some cases they make more than the producer and don’t have a penny invested. The article advocates making gas mileage requirements even more stringent, contrary to Trump’s clearly stated policy of deregulation. The title falsely makes it sound like the author is trying to be helpful to Trump. The same author would probably advocate that Trump reduce the costs of education by increasing the use of abortion. Trump needs, personally, to analyze and deal with the gas pump price issue which affects "the forgotten men and women" daily as they must go to the "jobs" being generated. Else, the politics will work against him and his agenda. New jobs may require more travel--and more travel adds to the family budget, which may eat up the earnings being generated. My cynical self tells me that ‘we’ have to watch for Local Governments/Governors etc raising taxes in many ways to negate the raise people are seeing now. Nothing better than raise the local entertainment/fast food/gas tax just because the ‘working people’ have more to spend. SEE, WE TOLD YOU IT WOULD COST YOU MORE, without mentioning all the local raise in taxes. FED can do the same ESPECIALLY if ‘they’ get control. When the job is to ‘kill the king’ NO one really cares how, when or where, just do it. AND if your own party is ‘against’ you may as well have the other side ‘rule’ as at least you KNOW there are unfriendlies, not just unfriendlies when YOU are involved. You can’t seriously not believe that Ken Blackwell is for abortion. How absurd. I have read 25 cents a gallon, possibly 15 cents a gallon. This blog post was made earlier this month regarding the notion. I don’t know Ken Blackwell, but I think his demand for stricter gas mileage regulations is anti-conservative and counter-Trump. If consumers value better gas mileage, automakers will provide it. Why should electric vehicles and hybrids get a free ride?